Home Jobs in Any Graduate Jobs in Experienced Jobs in Freshers Jobs in InTarvo Jobs in Noida Walk-In Jobs InTarvo Technologies Career Walk-in for Customer Support Associate @ Noida- Apply Now. InTarvo Technologies Career Walk-in for Customer Support Associate @ Noida- Apply Now. InTarvo Technologies Career Jobs Opening 2018-2019 Customer Support Associate Posts Download Application at www.intarvo.com. InTarvo Technologies Job has Recently Announced 2018 regarding Associate/Senior Associate & Various Job Openings Interested and Eligible Candidates can Download Application Through Official website. 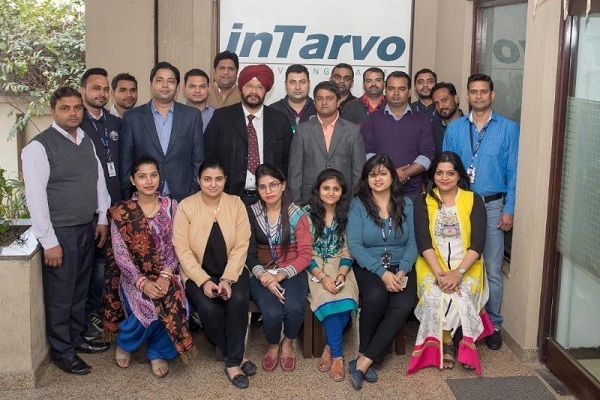 InTarvo Technologies Career Walk-in for Customer Support Associate @ Noida- Apply Now. To attain our objectives efficiently, fairly, with high level of reputation achieved through our brand ambassadors – our employees. Over the last 18 years, inTarvo has developed the expertise, processes and people required to efficiently manage Technology Assets for companies across India covering every stage of the asset lifecycle from acquisition to eventual disposal. Attend Customer Calls in proper manner. Good communication skill English & Hindi. Residence location in and around Noida. Part time shift is 7pm to 11.30pm. Noida - 201301, Opposite vishal Mega Mart.